Products :: Communication Technology Services, Inc. Copyright © Communication Technology Services, Inc. All Rights Reserved. Website design by North Mobile Internet Services, Inc.
Communication Technology Services, Inc. is a full service telecommunications company offering Category 3, 5e, and 6 cabling. We also offer Fiber Optic cable placing, testing and terminating. Don Pearman is President and has over 30 years experience designing and implementing systems of all sizes and feature functionality. 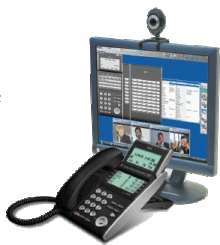 CTS, Inc. also sales the following Business Telephone Systems: • UNIVERGE® SV9100 Communications Server • NEC SL1100 • Ipitomy IP1200 VOIP Service is provided by a quality technical staff that exceeds the expectations of it's customers. CTS, Inc.'s technical staff builds long term commitments with customers by displaying genuine interest in the customer's needs. Advanced Sound Masking Technology <<< NEW! Communication Technology Services, Inc. is located in Mobile, Alabama, and has customers across the gulf coast including the cities of Mobile, Semmes, Wilmer, Tillman's Corner, Theodore, Chickasaw, Prichard, Axis, Saraland, Satsuma, Creola, Mount Vernon, McIntosh, Jackson, Daphne, Spanish Fort, Fairhope, Point Clear, Foley, Loxley, Robertsdale, Gulf Shores in Alabama, and Pensacola, Florida and Biloxi/Gulfport, Mississippi.